In the summer months, many people visit their favorite resorts or cities and enjoy their favorite hobbies. It can be difficult, however, to plan a vacation that will allow the passionate dog owners to indulge in that passion. It just is not the kind of vacation idea that gets much commercial time. If you look hard enough, there are plenty of nice getaways that will feed your canine tooth. There are likeminded individuals all around the world who have created museums, hotels, theme parks and more that are either dog-friendly or dog-themed (and often both). If you are a dog owner of the intellectual ilk, you might enjoy a museum road trip. Road trips may seem like they come with the possibility of disaster (especially if you include dog passengers), but they are also the best way to travel without missing a thing. This is not a National Lampoon’s type of road trip. Countless dog museums are located right in the heart of the country. In Queeny Park, Missouri, the American Kennel Club’s Museum of the Dog is the Mecca for those dog owners who fashion themselves as art entrepreneurs. This museum is a 14,000 sq. ft. facility and contains over 700 original pieces of dog-themed art. According to the AKC, their core reason in collecting art and literature of the dog is “for the purposes of education, historical perspective, aesthetic enjoyment and in order to enhance the appreciation for and knowledge of the significance of the dog and the human/canine relationship.” It is also a dog-friendly museum. Unless you are prepared to buy some soiled artwork, however, Fido better be on a short leash. Sporting dogs are among the first to get their own museums. The Greyhound Hall of Fame is located in Abilene, Kansas, which has been deemed the “Greyhound Capital of the United States.” This museum presents the history of the sport and some of the most legendary dogs. It also encourages people to look into Greyhound adoption programs. Another unique bonus is the occasional retired Greyhounds that are present to greet visitors. In Grand Junction, Tennessee, about an hour east of Memphis, the Bird Dog Foundation, Inc. has established four museums dedicated to hunting dogs and the wildlife they encounter. The National Bird Dog Museum, Field Trial Hall of Fame, Wildlife Heritage Center, and National Retriever Museum are all located in the same vicinity. The foundation is dedicated to preserving bird dog tradition as well as protecting the wildlife areas necessary to continue into the future. This is a great stop to see several different exhibits at once. If you have enough time to spend (and snow tires), you could even make the trek up to Fairbanks, Alaska where you will find snow, more snow, and what they claim to be “the most comprehensive dog mushing exhibit in the world.” It includes race-used dogsleds, Siberian skin clothing, styles of harnesses used throughout the sport’s history, trophies, and a theater that shows footage of dog mushing. The United States has fallen behind China in several areas, not the least of which being in doggie vacations. In China, passionate dog owners can take their dogs to dog theme parks. One such park, the Coolbaby Theme Park, was the first of its kind in the capital Beijing when it opened in 2006. “[The park] has a swimming pool, obstacle courses, playground and has a restaurant specially designed for pets. Not only can pets have meals together with their owners, but the recipes offered are based on nutritional science and tailored for dogs of different breeds, ages and sizes.” (Reuters, 5/20/2006) Unfortunately, this type of vacation is still a bit out of reach for Americans who haven’t racked up enough frequent flyer miles. While Americans may not be able to visit a park specifically for dogs, many can bring their pets along to popular parks like Walt Disney World. It offers kennel services for visitors at $15 per animal. While you are having a magical adventure in the magic kingdom, your pets will be getting pampered in luxury suites with walks, playgroups, ice cream treats, television, and bedtime stories. In the end, the purest, simplest, and usually cheapest way to involve your pet in your vacation plans is in the great outdoors. Camping is a great way to bond with your pet. Places like Dog Paddling Adventures in Ontario offer exciting new ways to hang out with your dog outdoors. A dog who has been trained and acclimated to the outdoors can be a wonderful camping companion in the wilderness. Whether you decide to teach your pup about his own history in one of the many museums around the country or fly to China so he can take a dip in the pool and relax at the Coolbaby restaurant, it is vital that you prepare properly. Travel can be an exhilarating experience for a dog, but it can just as easily be dangerous if done irresponsibly. Check out this month’s issue of Acme Canine’s The Bark for information on camping, vacationing, and how to keep every member of your family safe this summer. Josh Spiert is a veteran canine care assistant here at Acme Canine. In other words, you have probably seen him cleaning up the playroom before classes and escorting countless dogs around the block. Well, his abilities go a bit beyond the mop and the poop bag. 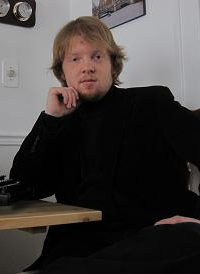 Last June, Josh graduated from Ohio University with a degree in journalism and an environmental studies certificate. Among other things, he enjoys lots of music (with 3,000+ songs on his iPod), films, and long walks on the beach. Josh moved back to Columbus, his home town, after graduation and began working with us at Acme. Despite his long commute from the south side of the city, he claims to enjoy working here. He has written a few articles for Acme’s blog and newsletter in the past and, beginning this month, he is putting his studies to use as the new editor of The Bark. 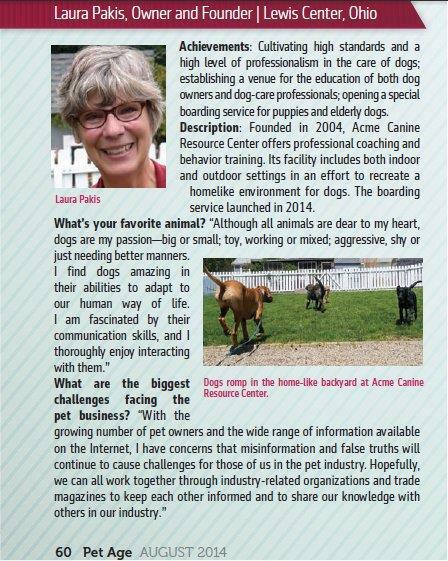 Feel free to contact him via training@acmecanine.com with any comments, complaints, or newsletter ideas. 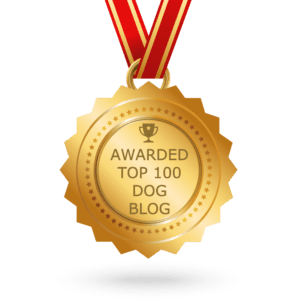 This entry was posted in Travel with Dogs and tagged Acme Canine, dog activities, dog museum, Dog socialization, dog vacation, travelling with dogs. Bookmark the permalink.